When this grandma turned up at the gym everyone assumed she was frail and weak, boy, was everyone wrong! Bodybuilding.com recruited elite powerlifter and coach Meg Squats to play a bit of a prank at their local Gold’s Gym. 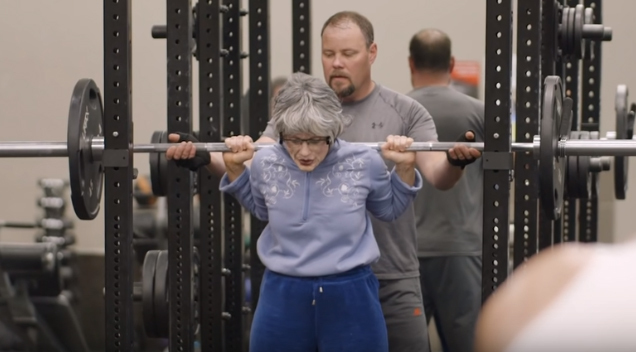 She endured hours of special effects makeup to transform into the Powerlifting Grandma and the result was pure gold.